Paul Nolan was on-hand as members of Bowie’s band – plus some very special guests – celebrated the late icon. It’s fitting that at end of 10 days of tributes and events in Dublin remembering the late David Bowie, members of his band should arrive in the city to celebrate his extraordinary life and career. Of course, with the gig being in his hometown, it’s a particularly resonant occasion for guitarist Gerry Leonard, and it’s he who kicks off proceedings with a wonderful solo take on ‘Loving The Alien’. 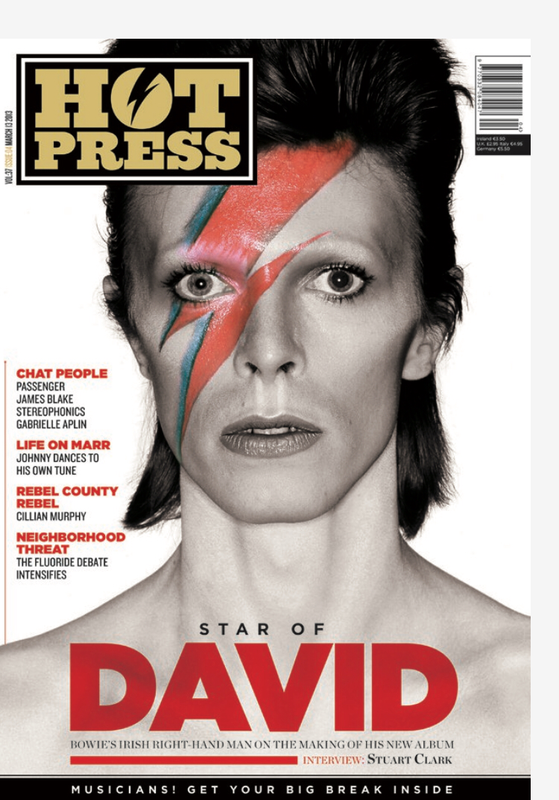 As ever, the sheer eclecticism of Bowie’s output dazzles, with the group veering from danceable funk (‘Golden Years’, ‘Fame’), to soaring anthems (‘Moonage Daydream’, ‘Life On Mars?’), to avant-industrial experimentation (‘The Hearts Filthy Lesson’). Joe Sumner (son of Sting) and the energetic Angelo Moore do a superb job on vocals, and there several singalongs throughout the evening, including on ‘Starman’, ‘Ashes To Ashes’ and ‘Oh! You Pretty Things’. Bowie’s impeccable eye for musical collaborators is also evident, with pianist Mike Garson embarking on several virtuoso avant-jazz solos, whilst there is also blistering guitar work from Leonard on ‘The Man Who Sold The World’ and Adrian Belew on ‘Stay’. 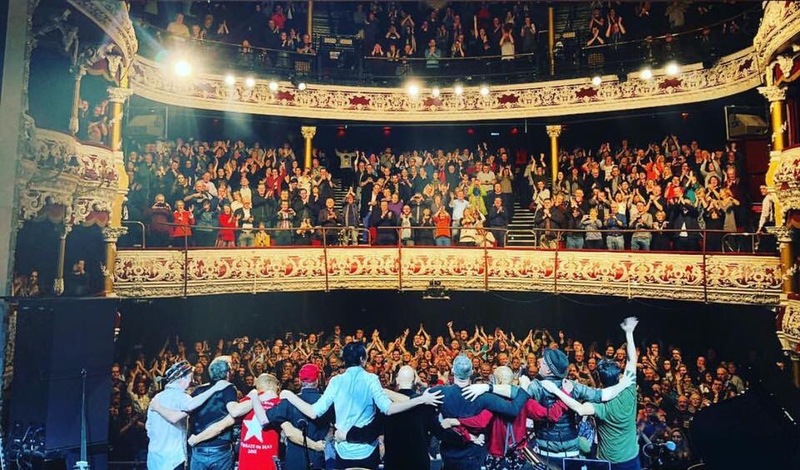 The night’s most poignant moment comes courtesy of guest vocalist Christy Dignam, who delivers a stunning version of one of Bowie’s lyrical masterpieces, ‘Five Years’, with the Aslan frontman and Pete Holidai from the Radiators From Space later returning for a rousing take on ‘All The Young Dudes’. After Garson pays personal tribute to Bowie with a solo piano piece (with the crowd on backing vocals), the band sign off with a haunting ‘I Can’t Give Everything Away’ and a triumphant ‘Heroes’. Bowie’s spirit was definitely in the house tonight. This entry was posted in News and tagged Bowie, cdb, David Bowie, gerryleonard, hotpresd, spookyghost. Bookmark the permalink.